Jodhpur in Rajasthan is one of the must visit place if you are planning for the tour this vacation. You can plan a trip of 3-4 days to explore the amazing place. One can reach the place via booking a cab online or by various transportation mediums like train or bus. But the most convenient one for you to explore each and every corner of the city is taxi /cab service. 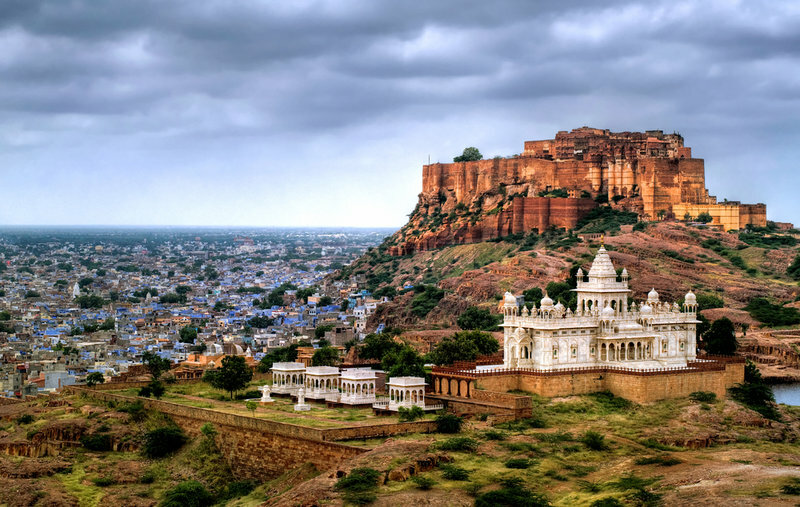 Jodhpur is an amazing tourist place in Rajasthan which is popularly known as the Blue city. The city is known as the blue city because it colored completely with blue color. In ancient times, only the Brahmins were allowed to paint their houses in blue but scientifically, blue color helps the people to preserve coolness in the houses during hot sunny days and help from insects as well. 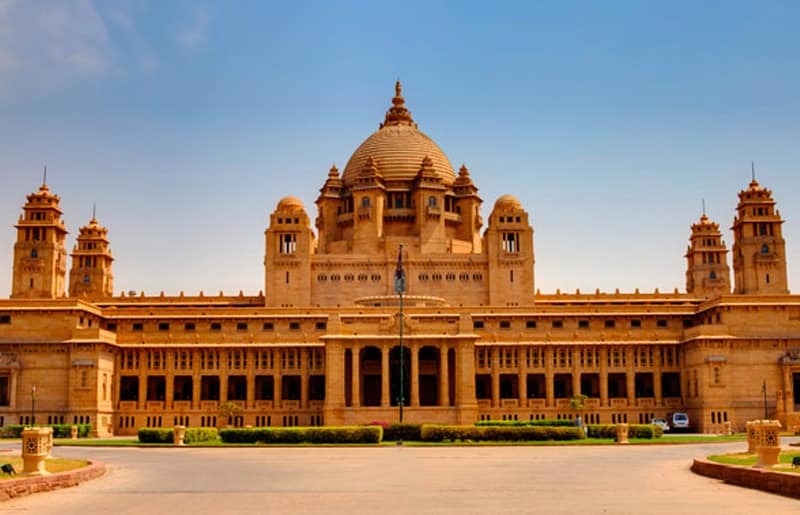 Although there are numerous forts, palaces, parks and markets in Jodhpur to explore, but the most popular destinations among the all are Umaid Bhavan Palace and Mehrangarh Fort. The beautiful palace is located at a distance of around 4-5 kms on the hill from the main city of Jodhpur. You can take your taxis/cabs to the palace easily to reach the Palace. The construction of the building of Umaid Bhavan Palace was started in the year 1929. It was initiated by the Maharaja Umaid Singh and the construction work was completed in the year 1943. It is one of the largest private residence palaces in the world that have 347 rooms in total. Now the palace is divided into three parts i.e. Luxury Taj Palace Hotels, Residence for Royal Families and the third part of the palace is open to general public. To enter the territory of Palace, one needs to pay the entrance fees. There is a small museum as well inside the Umaid Bhavan Palace where you can see the pictures and sculptures of the Maharaja and his family. Apart from that, there is exhibition hall where you can explore tableware, bathroom furniture, weapons and various things that were used by the Maharajas in Ancient times. You can also explore the exhibition of Maharaja Cars like Rolls Royce of 1927, Mercedes Benz, Cadillac and Buick and many more. It will be really very amazing for you to explore. 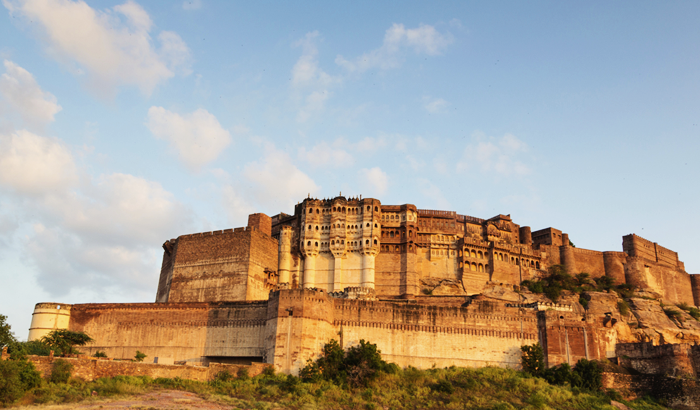 After spending your full day in the Palace, you can plan your next day for Mehrangarh Fort. It is a very interesting fort to visit where you can spend several hours as it is very big and impressive. Here you can explore very beautiful rooms with big wall paintings sainted glass windows and seats in the shape of riding elephants. You can also discover different exhibitions with the collection of weapons, swords, pearls, emeralds, and ivory. Different rooms are also there where Maharaja met with their important guests and sat with his wife. More you can explore in Jodhpur is its marketplaces, delicious foods, handmade craftwork, accessories and many more. So, Book your taxi or cab now and enjoy the wonderful and marvelous trip from Faridabad to Jodhpur.